Yara Shahidi attends the 41st Annual Gracie Awards Gala at the Beverly Wilshire Four Seasons Hotel on May 24, 2016 in Beverly Hills, California. *We’re about to see a lot more projects featuring Yara Shahidi. Powerhouse talent agency CAA has signed the young actress for representation in all areas, according to Variety. 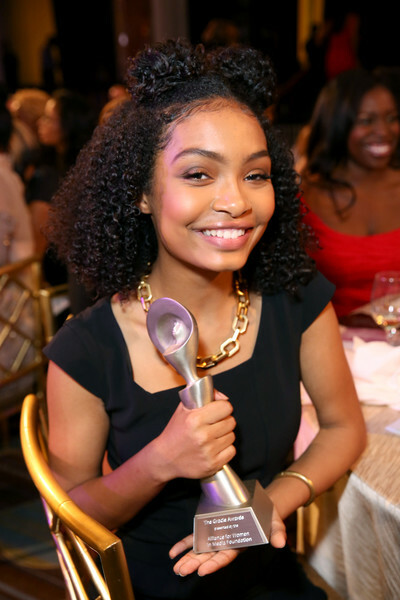 Shahidi currently stars as Zoey Johnson on ABC’s “Black-ish,” for which she received a NAACP Award for best supporting actress in a comedy, as well as a Gracie Award for female in a breakthrough role. Her past credits include Phillip Noyce’s “Salt,” opposite Angelina Jolie and Liev Schreiber; Jim Field Smith’s “Butter,” opposite Jennifer Garner; and “Imagine That,” opposite Eddie Murphy.